Remember when the people in charge of the television Kirkmanverse told us there was no way The Walking Dead and Fear The Walking Dead would ever have a crossover event? Did you believe them? You were correct….it looks like the showrunners have given in. In 2016 Fear the Walking Dead executive producer Dave Erickson said that a crossover wasn’t likely, mainly due to the fact that the main show is based on the events of the comic and the spinoff is blazing its own trail (even if it repeats a lot of plot points at times). “Some tectonic plates would have to shift to make it happen,” he said. Does this mean a TWD character will visit FTWD, or vice-versa? 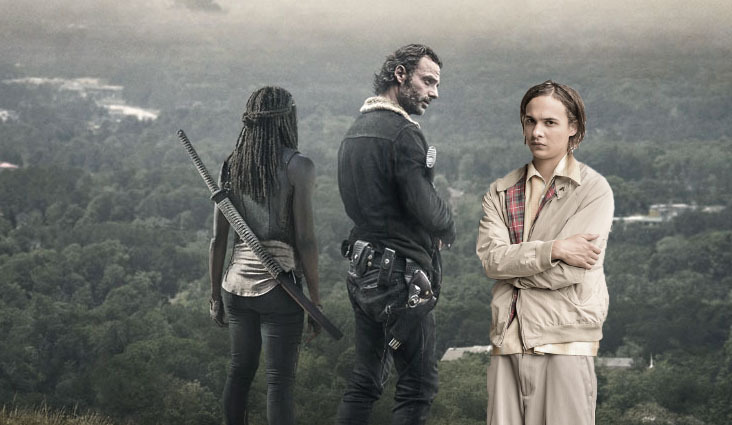 We don’t know — that was all anyone got from Kirkman, except for the promise that the crossover event will happen sometime next year.